So, you live in a cold climate and you want a wireless doorbell, right? You may also be concerned that you are putting something electrical outside and therefore exposing it to the elements. I am sure you already know, the part you need to put outside is the push button, otherwise known as the transmitter. You need a wireless doorbell option that is not going to break as soon as the mercury drops too low! What you need to know, is the working temperature range of the wireless doorbell receiver. Even if you own one of the best wireless doorbells, you still need to know if it has been rated to work in the extreme cold, or even the extreme heat. What Is The Average Wireless Doorbell Operating Temperature Range? What Are The Options If I Need a Wireless Doorbell In a Cold Climate? Suppliers of any electrical items will ensure any instruction manuals, or even the device themselves will have the operating temperature range clearly marked, but why is it needed? Out of the many reasons, this one is very obvious! They don’t want the device malfunctioning, and therefore you get a bad impression of them as a supplier! 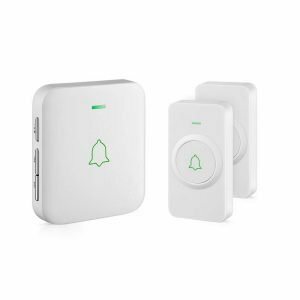 Imagine the first ten people to buy a newly released wireless doorbell live in Canada, where (in some parts) the temperature regularly reaches a very, very low level. Each one of them breaks because the temperature drops below the working range. Ten reviews go up on Amazon to say how bad the wireless doorbell is and no further sales are made! That is not good for the supplier and not good for customers who miss out on the fantastic features because the reviews scared them away from making a purchase! Another reason is the warranty. It is likely they have offered you a warranty on your wireless doorbell, or whatever electrical item you have purchased. The warranty period is the time period where the supplier/manufacturer fully expect the device to work perfectly. If you are using your wireless doorbell in the extreme cold (Or even in the extreme heat!) then you run the risk of a damaged device and you may even invalidate the warranty. I am sure they can find out if a wireless device has been exposed to temperatures lower than the operational range. Whether they can be bothered or not is a different question! Why Do Electrical Items Get Damaged In The Extreme Cold? First, let’s take a look at the components inside the wireless doorbell transmitter. The cold weather will slow down any electrical current. I am sure you are aware (Especially if you have read how a wireless doorbell works) that when the pushbutton is pressed, it sends an electric current down the transmitter, which is picked up by the receiver. 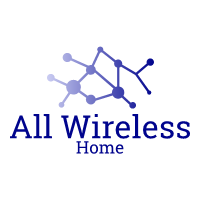 Anything that slows this process down will reduce the working range of your wireless doorbell and may even stop it working completely. At certain temperatures, plastic becomes extremely brittle, leaving it prone to breaking. If you have a waterproof push button, the last thing you want is the plastic to break! 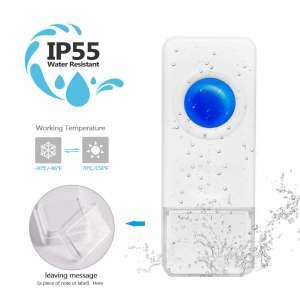 Any cracks or damage to the outer casing of the push button will expose the electrical items to any water damage (from rain), even if it is rated waterproof. If the plastic on your transmitter cracks, even slightly, water will collect in the crevice. When the temperature drops below freezing, the ice will expand and the crack will get bigger. Sure, this is also covered under the electrical items but I wanted to keep the battery separate because there is something extra you need to consider. That is if a battery is exposed to extreme cold, it will lose the ability to hold charge effectively. As it is an electrical item, the cold weather will slow down the electrical current, which means it becomes less effective and may cause permanent damage. It is not just the cold weather that you need to be conscious of when you are looking at wireless doorbell options. Heat can also have an effect, but that is a separate post! We have checked multiple wireless doorbells to find examples that work in a temperate that is outside the average range. That range is perfect for many parts of the world, but not good if the temperature in your area has the potential to hit numbers outside the range above. What you need, is a few options where that range is expanded! Although this range seems to be the average, we urge you to check with the manufacturer! You do not want to invalidate any warranty. After checking the operating temperature range for a number of wireless doorbell options, we have picked the best 3 options for you to consider. If you think we have missed out on some devices that should be in the top 3, then please let us know. 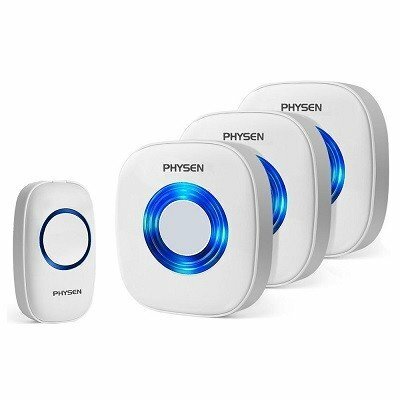 This Physen wireless doorbell will work in a temperature range of between -22°F to 158°F (-30°C to 70°C), perfect for cold weather! This Avantek wireless doorbell will work in a temperature range of between -4°F to 140°F (-20°C to 60°C), perfect for cold weather! Similar to the DB-21, the CW-21 Avantek wireless doorbell will work in a temperature range of between -4°F to 140°F (-20°C to 60°C), perfect for cold weather! This Bitiwend wireless doorbell will work in a temperature range of between -86°F to 158°F (-30°C to 70°C), awesome for cold weather! 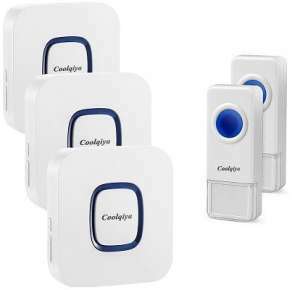 Working within a temperature range of -4°F to 158°F (-20°C to 70°C), the Coolqiya wireless doorbell is an excellent cold weather doorbell option. 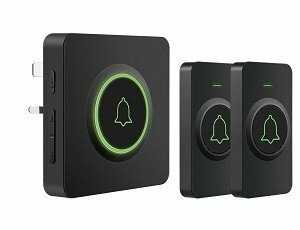 If you live in a cold climate and would like to use a video wireless doorbell, then you need to check out the Ring Video Doorbell 2. The Ring Video Doorbell 2 can work within a temperature range of -5°F to 120°F (-20.5°C to 48.5°C). It is an awesome video doorbell for cold weather! The Ring doorbell 2 has an operating temperature range of -5°F to 120°F (-20.5°C to 48.5°C). You can be sure that it will not let you down when the temperature drops. With a 1080p HD camera, night-vision, adjustable motion zones, and a 160 degrees viewing zone, the Ring Video doorbell 2 is an awesome video option for cold weather. Also, Ring offers LIFETIME theft protection! 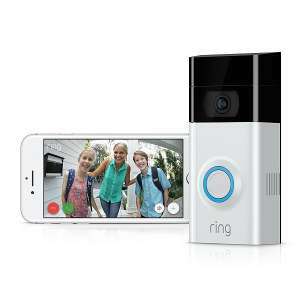 Check out the Ring Video Doorbell 2 Review. I absolutely hate cold weather! I’ll put that out there right now. Living in an area where the temperature rarely gets below -4℃ means that I have a wider range of wireless doorbells to choose from. If you live in a similar climate, you have a wider range of excellent wireless doorbell options too. As you are on this page, I guess you are living in a place on this wonderful planet where the temperature has the potential to drop further! I hope the three options we have highlighted above are suitable for your needs – they certainly have the ability to work is a colder climate, and as an added bonus, they are all waterproof too! That is definitely something I needed to consider. 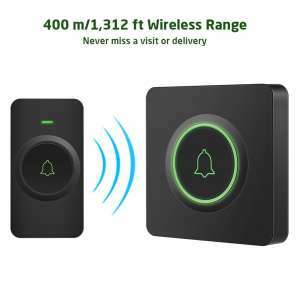 If you know any wireless doorbells that you think we should be adding to this list, or you have bought one of those above and you did not get a good experience, please let us know!